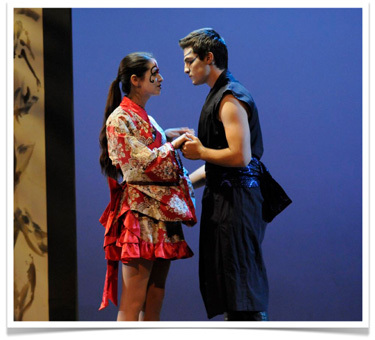 ESA Drama offers students extensive training in character development, voice and movement. Through the study of theatre history and plays from a variety of cultures and genres, students investigate the world around them and work towards a greater understanding of themselves and others. Using the most current theatre practices and techniques, students pursue the crafts of acting and directing to transform diverse stories into compelling theatre. ESA offers dance majors intensive training in Ballet and Modern Dance with the opportunity to study Jazz in grades 10 and 11. Throughout the program dancers develop their skills in technique classes and explore their creativity in composition classes. Dancers study theory, anatomy and dance history to expand their understanding of the world of dance and their role in it. Regular guest artists and choreographers are an integral part of the program. 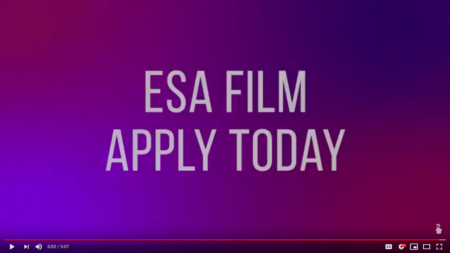 Through its core values of respect, community and creative expression, ESA Film provides students with a safe, rewarding and nurturing environment. Tailored to the unique challenges facing adolescents, ESA Film translates personal exploration and self-awareness into compelling and visually exciting films reflective of the student’s own creative voice. Our Contemporary Art department trains students to think like practicing artists. 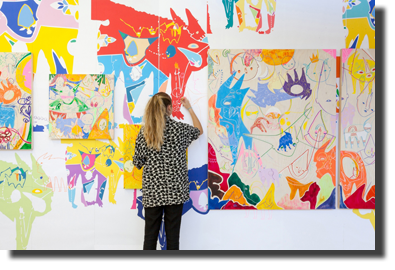 ESACA students graduate with a developed understanding of contemporary art practice and the material skills to find success in the most demanding international post-secondary programs. Our projects allow students to focus on their own passions while learning from contemporary artists, developing necessary skill sets to succeed in art and design programs around the world. We offer Music Theatre majors a rigorous four-year sequenced based training program that is grounded in a solid technique and imparted in an atmosphere of curiosity and creativity. Our dedicated faculty instills professional standards of discipline, quality and ethics by artfully blending the teaching of traditional skills with the newest advances in training and technology. We take a holistic approach to music pedagogy. In the teaching of music we try to balance ensemble performance, solo performance, technical skill, theoretical principals and the study of music history. 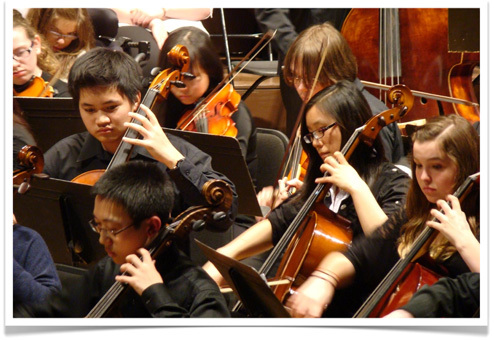 All students perform in a large co-curricular ensemble throughout highschool. We believe strongly that playing in a large ensemble nurtures and develops a musician in a way that nothing else can. Etobicoke School of the Arts (ESA) is a specialized, public arts-academic high school located in Toronto, Canada. 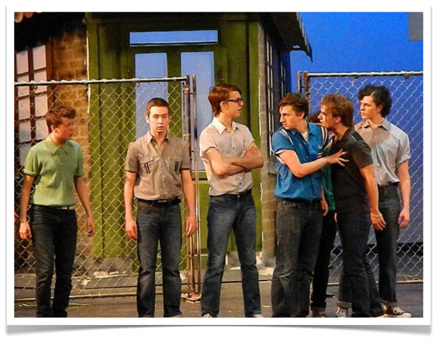 Founded on September 8, 1981, Etobicoke School of the Arts has the distinction of being the oldest, free standing arts-focused high school in Canada. Students major in dance, drama, film, music (band or strings), music theatre or visual arts. Students work with our committed staff in an exciting and dynamic curriculum tailored to each art. Students must balance a rigorous academic workload with numerous extra curricular performances. The learning environment is vibrant, engaging, welcoming and extremely busy. Our academic curriculum offers a full range of course selections in the areas of mathematics, sciences, languages and social sciences, while giving you the flexibility to be fully engaged in your arts major. Students graduate with an Ontario Secondary School Diploma. Over 80 per cent of our students pursue post-secondary studies at the university level in such disciplines as: engineering, music, life sciences, visual arts, economics, philosophy, journalism, drama and film.Our graduates are very successful in gaining admission to post-secondary institutions, including universities, colleges and various arts schools throughout North America.